One of the most spectacular design features scientists have discovered in the universe is the exquisitely precise rate at which the universe has expanded from its beginning (which scientists refer to as “the singularity”). As discussed in this article, if the universe had expanded ever so slightly slower than it has or slightly faster than it has, no life would be possible anywhere in the universe. As discussed in An Introduction and Summary of the Evidence for the Existence of God from Design (here >>), Christian apologists maintain that the hundreds of finely-tuned features scientists have discovered in the universe (all of which are necessary for life to exist) are most reasonably explained by the existence of an intelligent, transcendent Designer (like the God described in the Bible) rather than mere chance, as proposed by Naturalists. This article examines the exquisitely fine-tuned features scientists have discovered in the expansion rate of the universe. It is now known that two factors control how fast the universe has been expanding: 1) its mass density (which acts as a brake and has the effect of slowing expansion) and 2) its energy density (which acts as an accelerator and has the effect of expanding the universe). Unless these two factors are exquisitely fine-tuned so the universe expands at a very precise rate, no life would be possible anywhere in the universe. 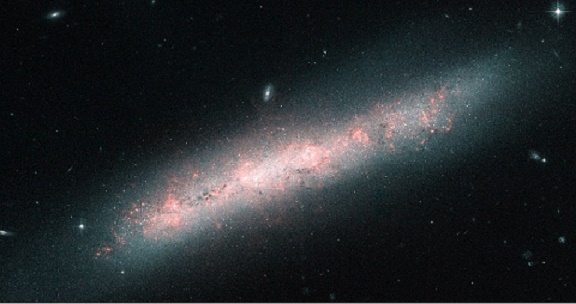 If the universe had expanded even slightly faster than it has, gravity would not have been strong enough to permit galaxies to form and without galaxies (and specifically the just-right type of galaxy) no life would be possible (more >>). 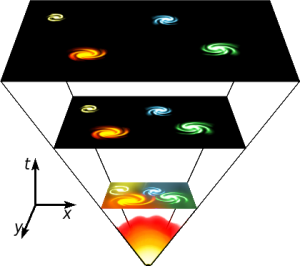 In order for the universe to expand at the precise rate needed to permit life to exist in the universe, the mass density of the universe had to be just-right. If the total mass density of the universe (i.e., the total amount of matter in the universe in relation to the size of the universe) was even slightly less than it is, the universe would have expanded too quickly to allow stars to form, burn and produce the heat needed to support life. However, if the total mass density of the universe was slightly greater than it is, the universe would have expanded too slowly for planets to remain in stable orbits. Indeed, if the mass density of the universe varied by more than even one part in 1060, no life would be possible anywhere in the universe. [See, Hugh Ross, The Creator and the Cosmos, pgs. 53-54 (2001); see also, William Lane Craig, On Guard, pg, 109 (2010)].